A large part of S. Korean cinema has been moving towards the style of Hollywood blockbusters during the last decades, through the combination of action, comedy, and impressive production values. "Confidential Assignment" is a distinct sample of this tendency, with the added commercial value of presenting the North vs South theme. North Korean detective Cheol-ryeong lost his wife and unit when his superior Cpt. Cha betrayed him in order to steal engraving plates that print U.S.counterfeit bills. Soon after, Cha defects to S. Korea, along with some of his associates, where he plans to sell the plates. Cheol-ryeong, who has been subjected to brutal interrogation in the North regarding his involvement in the case, is eventually dispatched to the South, as part of a delegation, after convincing his higher-ups that he will get Cha no matter what. The South Korean Intelligence Agency believe that there is an ulterior motive under the visit of the North delegation, which extends to more than just finding Cha, although the facts they have is that he is just wanted for murder. Nevertheless, they assign detective Kang, who had a recent streak of blunders, supposedly to accompany Cheol-ryeong, but in fact, to restrain him from any action he has planned. The two of them form an unlikely couple, with the N. Korean soon proving to be a martial arts and weapons expert, and his counterpart, out of his depth. Eventually, and after Cheol-ryeong manages to escape for a short period before he is arrested, he starts living in Cha's house, in a series of events that changes the lives of everyone involved, including Cha's sister-in-law, who is smitten by the newly arrived guest. The theme of the unlikely couple coming together to face the bad guys is a recurring one, particularly in Hollywood, with "Bad Boys" and "48 hours" coming to mind. The concept rarely fails to provide laughter, and "Confidential Assignment" is not an exception, with the two of them producing a number of hilarious scenes, particularly deriving from Yoo Hae-jin, who presents his character's combination of incompetence and sheer will in a very entertaining way. On the other hand, Hyeon Bin shines mostly through his appearance (he is exceptionally handsome), while he presents the archetype of the silent, cool man on a mission. The scenes in the house also present a number of comic sequences, with Jang Young-nam as Cheol-ryeong's wife and Yoona as her sister being another couple who thrive due to their differences, and their interaction with an unlikely guest. Kim Joo-hyeok presents a great villain as Cha, in as much stylish fashion as his archenemy. Kim Seong-hoon builds the film in two axes. The first is the cast and its chemistry, and the second the impressive action scenes, which include fights with guns, martial arts scenes where everything, from a knife to a plastic cup become weapons, and car chases. 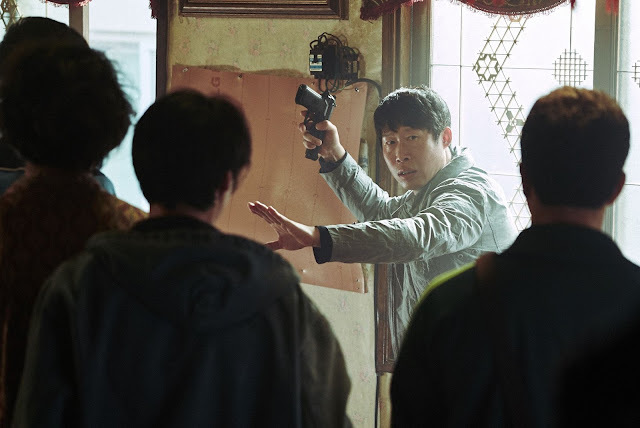 Particularly the one in the tunnel, which was shot over the course of 3 days and utilized over 30 cars, and the one in the main junction of Itaewon, which took 5 days to shoot, are exquisite, as they highlight the direction, Lee Sung-je's cinematography, and Lee Jin's editing. Overall, the production values of the film are top notch, as they showcase the film's big budget, particularly in the action scenes, where the work in the SFX also finds its apogee. 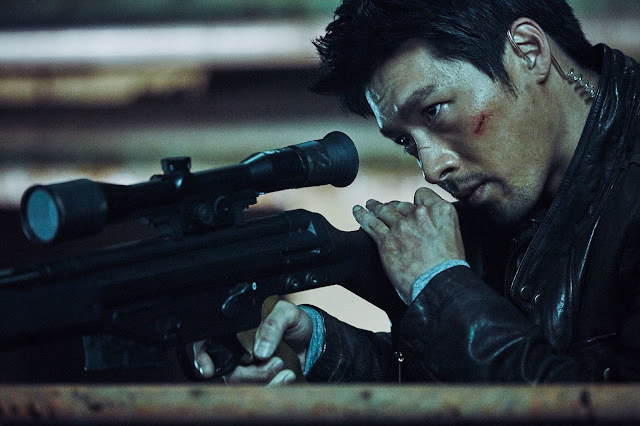 "Confidential Assignment" may not be particularly original, but is an impressive, funny, and very stylish action comedy that is bound to entertain its audience, particularly the ones who enjoy Hollywood blockbusters.